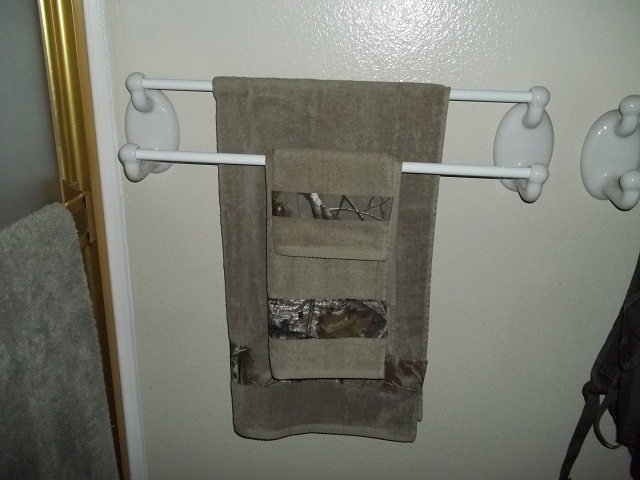 ....cuz he's the King o' Camo...Realtree AP towelsets! Matching shower curtain too- aint installed that yet....weeee! Stovey, you have become quite the homemaker! WOW! thats like extra coolness!! That is awesome mate...really cool. Hahahaha that's the FIRST thing I checked fer! My Missus would kill me if I tried that one! A place called Mysistersstore.com....these things are all over the web actually. Im gona get some bedding next. stovey, get some jammies while you are at it and no one will know you are in bed! NICE!! You'll make some woman a good house mouse. I did it again..didn't I. I missed the space bar. CODE BLUE CODE BLUE SPELLING NAZI TO THE GENERAL FORUM AT THE .NUT PLEASE SPELLING NAZI WE NEED YOU NOW STAT!